Perhaps the time has come when you begin to realize how much emphasis you put on your personal value system. How much do you use your resources to reflect that to the outside world? It is hard sometimes finding the point where philosophy and practicality meet, but it is a quest worth taking. 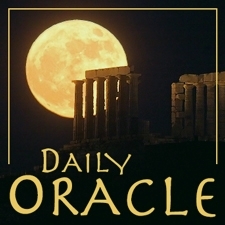 Today’s Oracle takes us to the Capricorn weekly for Jan. 9, 2009. Perhaps the time has come when you begin to realize how much emphasis you put on your personal value system. How much do you use your resources to reflect that to the outside world? It is hard sometimes finding the point where philosophy and practicality meet, but it is a quest worth taking in order to make a stronger, more powerful whole. Picture a toolbox heavy with tools, yet the carpenter insists on only using the hammer to build an entire house. How hard would that be? What would the house look like? At times it is best to use the hammer. But when it comes to shaping and smoothing, perhaps the carpenter should dig to the bottom of the box to find the best tool for the purpose.